Get a massive 300W of power handling in a cab that weighs less than 20 lb. It is a Quilter, so of course it's light! Weighing in at only 19.5 pounds (8.84 kG) it is the perfect lightweight solution to answer the question, "What speaker cabinet should I choose for my 200 watt block amplifier?" Featuring 15mm baltic birch construction with pro-audio-grade bracing and reinforcement, it is practically bulletproof! Have you ever noticed that look of shock when someone picks up your Block Series amplifier? Now you can get that same look when they pick up your cabinet. The BlockDock 12HD is loaded with the highly potent Celestion BN12-300s speaker we put into our HD Series amplifiers. 300 watts of power handling in an ultralight package! The BlockDock 12HD accepts both 101 series, and "Block Series" amplifiers so you can choose anything from living room friendly to a full screaming 200 watts of power, or pick and choose either! All this in a single, professional cabinet that may be lighter than your guitar! Quilter builds professional equipment for real musicians who need professional tools to hone their craft day in and day out nothing more, nothing less. The BlockDock 12HD is the workhorse that will get you to the studio or the gig, turn heads, and get you home without breaking a sweat, and without breaking down! 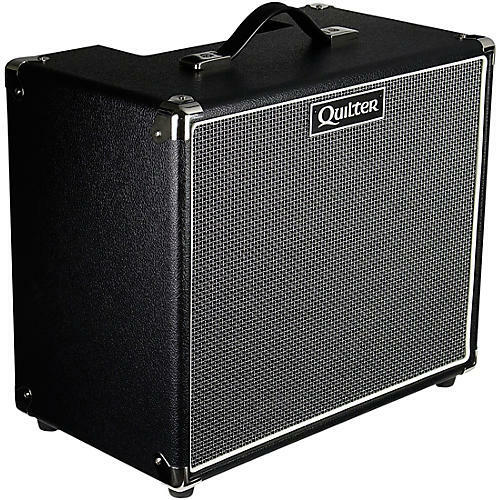 Backed by a industry-leading warranty, Quilter amplifiers are setting new standards in performance amplification. Our support is backed by a team with a passion for music and a commitment to ensuring you get the most from your tone – every gig, every song, every time.